Thank you to the groups below that are so essential to ensuring that as many fallen heroes are remembered and honored at Mountain Home National Cemetery (TNMHNM) on Saturday, December 14, 2019 at 12:00 PM. Welcome to Saint Vincent de Paul Sacred Heart Conference Punta Gorda (FL0499P)! Our location fundraising group is proud to support Sarasota National Cemetery, Sarasota FL and to help honor and remember as many veterans as possible. Please click "View" to learn more about our effort and then click "Volunteer" to join us for National Wreaths Across America Day. Thank you so much! Welcome to Kingsport Composite Squadron Civil Air Patrol SER-TN-004 (TN0027P)! Our location fundraising group is proud to support Mountain Home National Cemetery and to help honor and remember as many veterans as possible. Please click "View" to learn more about our effort and then click "Volunteer" to join us for National Wreaths Across America Day. Thank you so much! Welcome to WM Associates 39 (TN0065)! 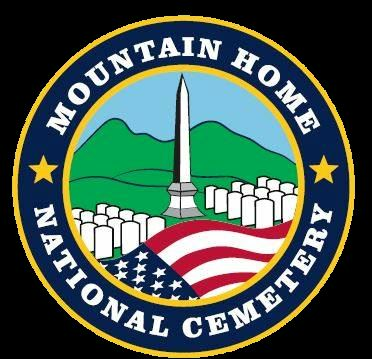 Our location fundraising group is proud to support Mountain Home National Cemetery and to help honor and remember as many veterans as possible. Please click "View" to learn more about our effort and then click "Volunteer" to join us for National Wreaths Across America Day. Thank you so much! Welcome to Second Tour Campaign (TN0081P)! Our location fundraising group is proud to support Mountain Home National Cemetery and to help honor and remember as many veterans as possible. Please click "View" to learn more about our effort and then click "Volunteer" to join us for National Wreaths Across America Day. Thank you so much! Welcome to State of Franklin Chapter SARRogersville, TN (TN0011P)! Our location fundraising group is proud to support Mountain Home National Cemetery and to help honor and remember as many veterans as possible. Please click "View" to learn more about our effort and then click "Volunteer" to join us for National Wreaths Across America Day. Thank you so much! Welcome to Disabled American Veterans, Chapter 39 (TN0101)! Our location fundraising group is proud to support Arlington National Cemetery and to help honor and remember as many veterans as possible. Please click "View" to learn more about our effort and then click "Volunteer" to join us for National Wreaths Across America Day. Thank you so much! Welcome to Watauga Chapter, Tennessee Sons of the American Revolution (TN0075)! Our location fundraising group is proud to support Mountain Home National Cemetery and to help honor and remember as many veterans as possible. Please click "View" to learn more about our effort and then click "Volunteer" to join us for National Wreaths Across America Day. Thank you so much! Welcome to Bartleby (TN0140)! Our location fundraising group is proud to support Mountain Home National Cemetery and to help honor and remember as many veterans as possible. Please click "View" to learn more about our effort and then click "Volunteer" to join us for National Wreaths Across America Day. Thank you so much!